Words are one of my favorite things. To be able to write and create a world that began as a simple imagination and then allow someone else to recreate that world simply by reading and imagining is a beautiful thing to me. But too often it too can be a horrific nightmare. My love for words has created both worlds many times during my life. For many seasons I have found myself in this hurricane of words bouncing off the walls of my brain. Words that were spoken out of careless joking that stuck. Words that were spoken out of spite that stabbed. Words that were spoke out of another persons theology that robbed. The words that have wrecked me the absolute most didn’t come from a mean spirited person. If you have read my previous blogs you know that my relationship with my dad (click to read more) has been everything but perfect. I grew up with out him. He chose a life of drugs alcohol and other women instead of being with his wife and kids. There was a ton of pain that came from that. A lot of times our relationship was as on again off again as Justin Bieber and Selena Gomez. We would have a good year and then I would call one time when he had too much to drink or was under the influence of something and would end the conversation with shame and guilt hanging around my neck because of words he spoke. Through the years I found myself writing letters of how I felt hoping to release unforgivness for the things he had done and said. I always feared that he would get sick and last year he did. Very sick in fact. Last year I found my self on a plane a few days before my 24th birthday to go see my dad. I remember hoping and praying that while I was in Virginia I would get to see my dad delivered and get to pray with him and see him accept Jesus in his heart. 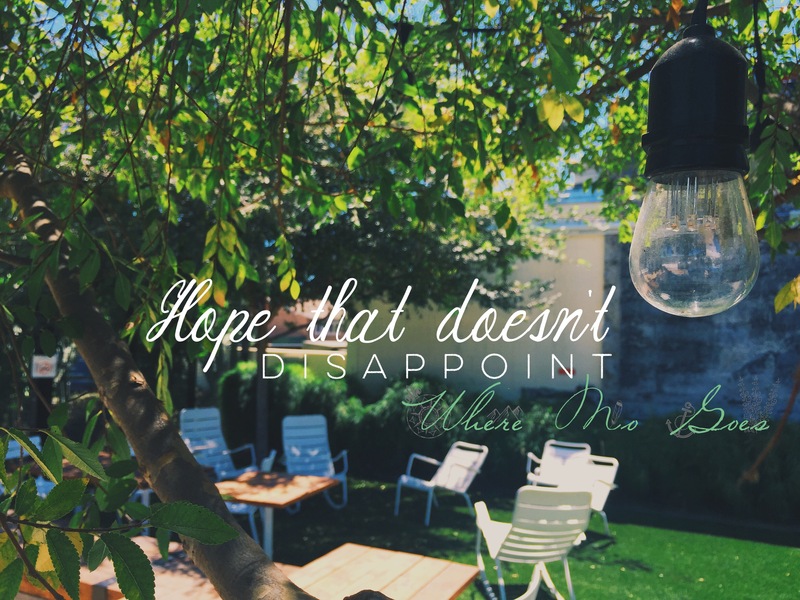 I had huge expectations, but I also knew that regardless I was there to love him, so when I came home and the conversation about God didn’t happen I patiently waited. I tried to keep the relationship on great terms but it was still hard. In June my dad had several more surgeries and different medical things arrive. One day after a surgery my aunt called to tell us that the doctors weren’t expecting him to make it through the the summer. I sobbed that night. To know that death was so close to my dad and he still hadn’t accepted Jesus into his heart seems childish but truth is I know there is life after this and more than anything I want to see my dad after we both pass. I had my doubts though. Some were simply doubting that my dad could change but some went deeper than that. I doubted that God could change him. I doubted that God cared that much about him or me to change his heart. But I prayed. I begged God not to take his life until he surrendered it to him. I didn’t talk to my dad for a few weeks because I was scared. Did I just hear what I thought? All I could say was, “that’s cool dad.” He went on to explain how the Chaplin at the hospital came to see him because he heard about how he was close to death and had an amazing amount of joy. The doctors and nurses kept making comments about how much joy he had. His answer was simply, “Jesus is inside of me”. I was completely baffled. Holding back tears I listened to my dad apologize for it taking him so long to get his life together and how he was just so happy that he didn’t die without surrendering his life. Ending the conversation I asked if I could pray with him and he said of course. I was so thankful that God answered my prayers but He wasn’t done. I simply asked that my dad would see the love that Jesus has for him and would accept it but God knew that I needed more than that. That’s when I got wrecked in the most beautiful way possible. The last month I’ve had countless conversations with my dad. I’ve also had countless conversations with my Heavenly Daddy. He reminds me that if He has my ex alcoholic, drug addict, cancer ridden father than he too has me. He’s shown me that through the last 24 years of my life He knew the longing I had as a baby for a father, he saw the tears that fell because all the other kids brought their dads to Father’s Day picnics at school, he knew the pain that stabbed me when I felt I wasn’t good enough to have a dad. He saw it all. Even the seasons of anger and bitterness towards Him and my dad for this life and complications I felt because I didn’t have a dad at home. This past Saturday I woke up early to update my dad on my grandpa, who is also in the hospital. I didn’t have a great week mentally. I felt the enemies accusations heavily on my mind. And though I kept running to God it was still hard. My dad could tell. Before I hung up he asked, “Can I pray for you?” Once again I found myself sobbing. Half because of the pain and hurt of the chaotic world around me and half because I was overwhelmed with joy that this was once again happening. First if you don’t have a personal relationship with Jesus Christ but you’ve happened to come across this blog and have read it to the end I want to tell you without having a religious debate there’s something more. There is a God who created you and loves you more than anything. Regardless of what you’ve done, thought, believed, the questions you have, He wants to take all of those things and answer them, redeem them and make your life have more meaning than you’ve ever had. It’s not childish it’s truth. I know people that have claimed to love God have made it look like He is this tyrant that hates people because of their sin but truth is he hates sin because it hurts his children. I can’t give you the answers of why certain things happened or didn’t happen in your life but I know one thing, He will take the ugliest most horrific things and turn them into something beautiful. Will you let Him? Simply believe in your heart that Jesus is Lord confess with your mouth that He rose from the grave and accept His love. That’s it. Let him do the fixing. Secondly dear friend that is hurt because it seems like your prayers are never heard. Maybe you found a different outcome to your circumstance and it doesn’t seem fair. Can I encourage you to keep praying. Don’t close that communication with God. Allow Him to heal you as you pour out the anger, sadness, bitterness, and just plain hurt. He can handle you and your emotions. He won’t cast you off. In fact he will kneel beside you and weep too. Then he will stand you up holding your hand and keep journeying forward until one day, whether on earth or in Heaven, you will get the answers you need. No matter where you are in your journey know that His love leads you to a hope that doesn’t disappoint.